A question that is often asked of The B&B Team while visiting one of our properties for sale is; “Why do people come here?” If the client is not familiar with an area there is often concern about the ability of the property to draw guests. 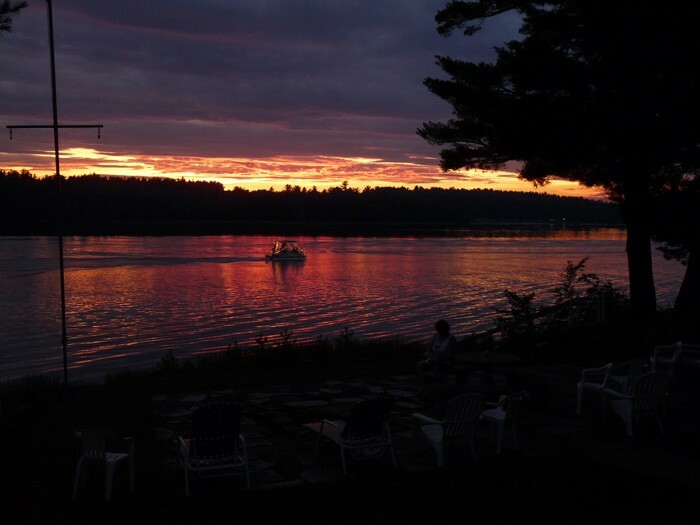 In the case of a western Maine lakefront bed and breakfast in Poland Maine the answers came easily. Sue and Roy Forsberg visited the Wolf Cove Inn in the summer months of 2013 and closed on the property by the end of the year. 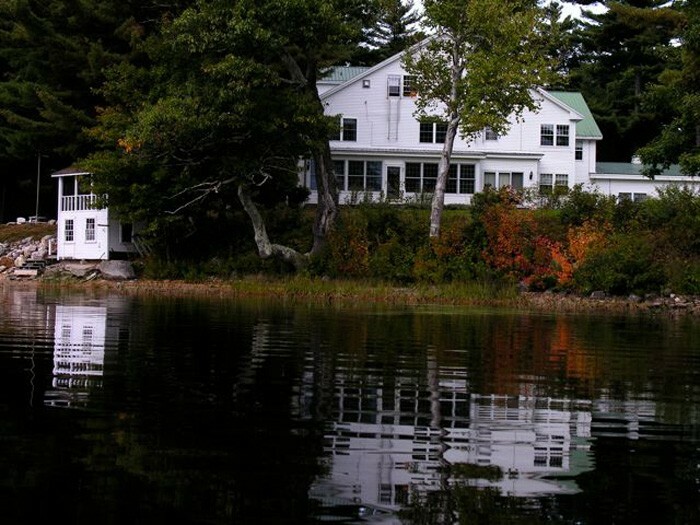 They saw the Inn’s potential and were drawn to the spectacular lakeside location. Since then the Forsbergs have done extensive renovations and have breathed life and vitality back into the Wolf Cove Inn. What a wonderful job they have done. Here are some additional answers to the question why people will be drawn to the Wolf Cove Inn. The following comments were from by an article I read in US Airways Magazine entitled, The Lure of the Lake by freelance author Brion O’Connor. He says it so well. • They are places where time, if only for a day or weekend, can stand still. • The simple joys of skipping stones, an adventurous canoe foray, swimming, fishing, or a late-night campfire roasting marshmallows, the lake experience fosters a sense of well-being and bonding. • Being near a lake, or any open body of water has a calming effect. • Gentle sounds of water lapping onto a shore”. Those reasons alone got me on hello! The author wrote of a recent vacation he took with his family to Western Maine. 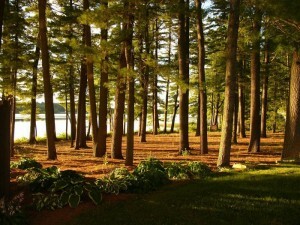 He mentioned, ‘the stately pines and rugged hardwoods of Western Maine’. He could have been writing of the Wolf Cove Inn, a truly magnificent western Maine lakefront bed and breakfast. 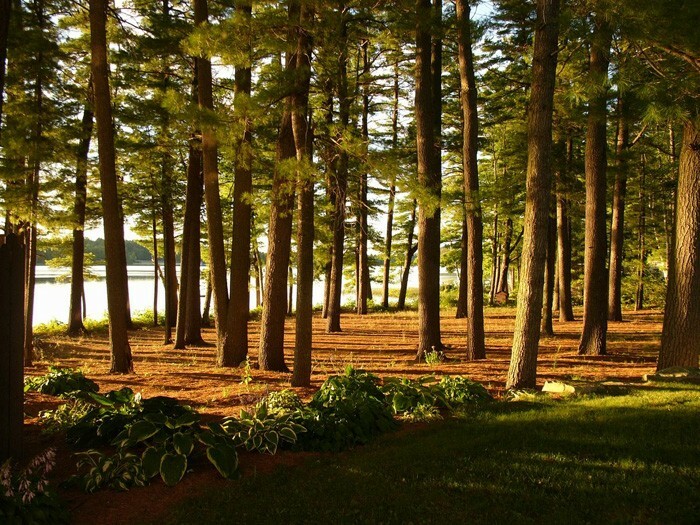 The inn, the lake, the grounds with beautiful old stately pine groves have everything a person could want when seeking a true lake house vacation. A friend of the authors told him a lake setting to him is…”sort of a meditation without meditating. Just a few minutes in a rocker, eyes on the lake, and nothing else matters. 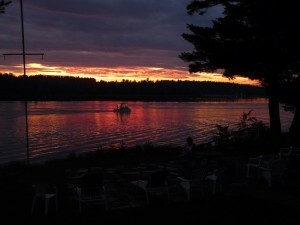 The Wolf Cove Inn in Poland Maine has incredible lake views. The grand dining hall (now called the Maine Room) with walls of windows and stone surround fireplace beacons guests. The building is set so perfectly to take advantage of its surroundings. There is so much to offer guests at the inn, and with new innkeepers Sue and Roy, the ‘lure of the lake’ will bring them back year after year and even generation after generation. 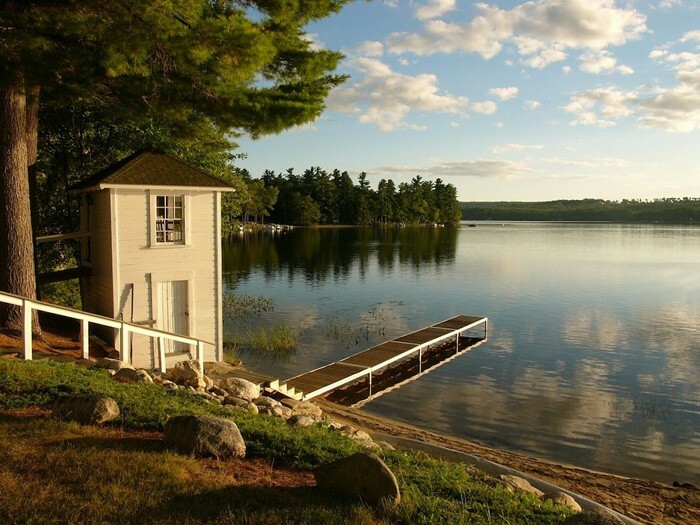 Oh and don’t forget the loons calling to each other and quiet sunsets on the swing in the old boat house or the view of a full moon reflected on the rippling lake. A place where time, only for a weekend or longer, stands still. This entry was posted on Tuesday, September 3rd, 2013 at 8:41 pm	and is filed under Better Way to Buy and Inn. You can follow any responses to this entry through the RSS 2.0 feed. Both comments and pings are currently closed.